An email from the partner of a friend who shall remain nameless showed up in my home email in-box recently with a list of books on his table ready for his summer reading. There were a lot of very serious titles – some of which I’ve read and many of which I’ve missed – but the one that caught my eye was War is a Force That Gives Us Meaning by Chris Hedges. Now I’ve read that book, and I don’t consider it light reading. In fact, it is pretty depressing. For while Hedges calls for humility, love, and compassion as the only chance for the human race, he writes of the addiction of war and its unifying force. When you read this, our chances seem pretty slim. But that’s NOT why I’m writing about Summer Reading Lists. There are 9 other months of the year to read books like War is a Force… Summer reading is different. Here are three books (two on baseball; one only tangentially on architecture but really on love) I think are great for summer reading. When I recently saw my friends the Quattlebaums in Andover (I met them a couple of years ago on the wonderful National Trust Black Sea cruise we took on the Sea Cloud), it reminded me of two books on baseball that I’d recommend to anyone. The first is a new book in 2008 – Anatomy of Baseball – a compilation of essays edited by Lee Gutkind and Andrew Blauner. As a compilation, the writing here is uneven, but at its best it is great. 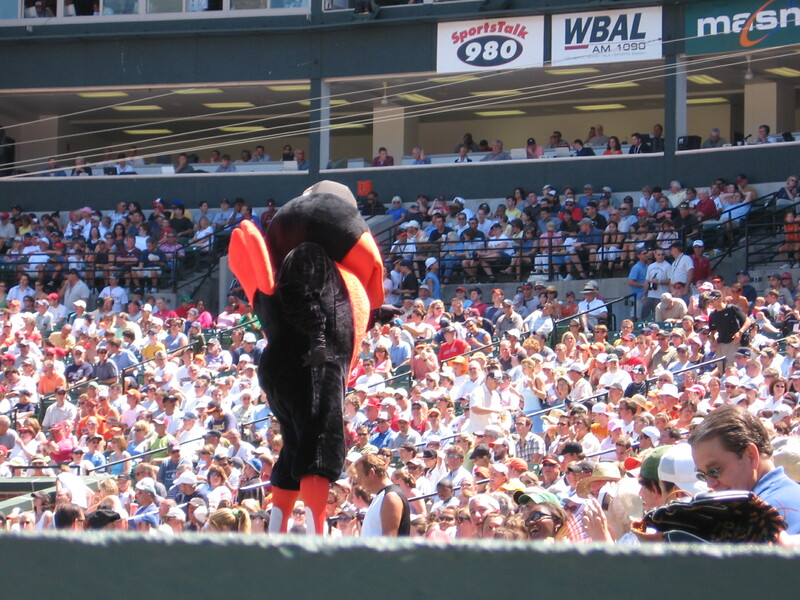 The single essay “Oriole Magic” by Elizabeth Bobrick – where a Ph.D. classics student in 1979 discovers that baseball writers are the best in the world and baseball is a sport that endlessly fascinates – is worth the price of the book alone. Just a couple of examples will have to do. The book also has great essays on first gloves, a Frank Deford piece on baseball caps, and much more. The second baseball book that my visit with the Quattlebaums brought to mind is Jim Collins’ wonderful The Last Best League about the Cape Cod Wooden Bat League. I was reading this book on the Sea Cloud when I met them the first time, and it is simply one of the best baseball books ever. So imagine my surprise when Ed Quattlebaum tells me that one of his sons is mentioned in the book – the player nicknamed “GQ” because he looks so preppy. (These wonderful people do teach at Andover!) And those of you who know me know of my love for our own college wooden bat league here in Maryland – the Cal Ripkin, Sr. Collegiate Baseball League. I love our new Nationals stadium and it is great having MLB baseball back in Washington, but few things top the pleasure of sitting with 500-700 other fans right on top of the action on a beautiful summer night and cheering for the Bethesda Big Train or the Silver Spring Thunderbolts. The season just ended, but it was another great one. If you want to catch the flavor before 2009, read The Last Best League. Now, for those of you who just can’t abide baseball, you might check out Loving Frank by Nancy Horan. I’m not a big reader of fiction, but this historical novel based on the love affair between Frank Lloyd Wright and Mamah Borthwick (the wife of one of his clients in Oak Park) really surprises. It is hard to put down…and that’s all I’ll say about it.